Shortly after Pan American Airways started flying from New York to London in 1959, a round trip ticket cost what would be $3,800 today -- in economy class. Those fares sold out in less than a day. They're also a signal that, with new low-cost carriers spreading their wings across the U.S., the Atlantic and Pacific, we're heading into a new golden age of affordable air travel. The last time flying was this affordable, the economy was in free fall. In the first half of 2016, the average round trip ticket cost $369, including $23 in fees. That's the lowest average since the depth of the financial crisis in 2009 and 2010, according to Airlines for America, which represents nearly all the U.S. carriers. Airline analysts attribute price declines in the U.S. to falling oil prices and a new generation of efficient jetliners. Another big factor: the proliferation of ultra-low cost airlines like Spirit Airlines (SAVE), Frontier Airlines and Allegiant Airlines (ALGT) that are forcing their competitors to keep pace. Last week, American Airlines (AAL) and United Airlines (UAL) started selling new Basic Economy fares that turn things that used to be travel staples -- like access to an overhead bin and the ability to choose your own seat -- into premium extras. And on Monday United announced dozens of new routes aimed at low-fare carriers. There's still a wide variation in price depending on the route and the region, but ticket prices are falling all over the world. The average round trip globally in 2017 is expected to be $351, down 63% since 1995, adjusted for inflation, according to the International Air Transport Association, which said that figure doesn't include fees. 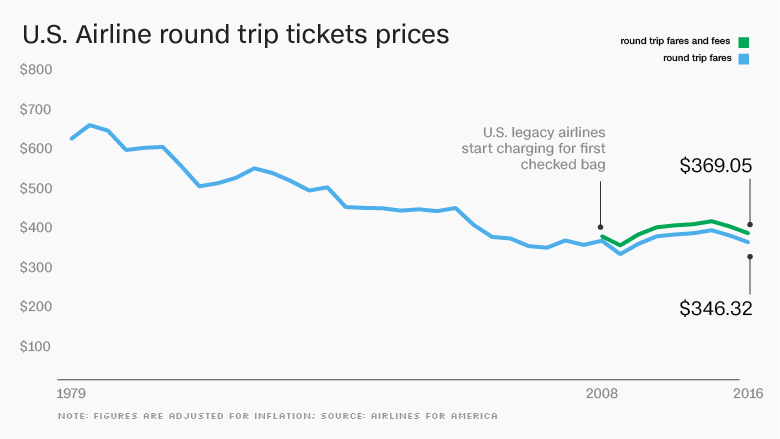 The price of flying has steadily fallen since the U.S airline industry was deregulated in the 1970s. 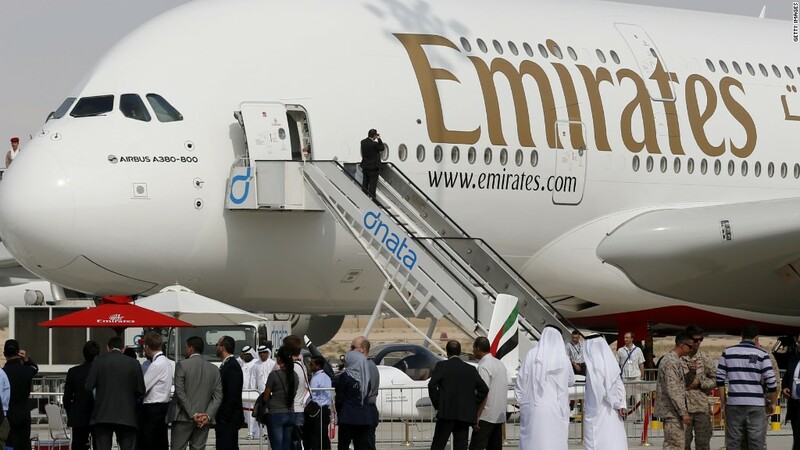 "We are notorious in our business of racing to the bottom whenever there is some advantage given to us and this is no exception," said Tim Clark, President of Emirates Airline, the world's largest international carrier in an interview with CNN earlier in February. "We have reduced our fares to point of...stupidity in my view." U.S. airlines are posting record profits and their shares are climbing. But in 2016 the industry's revenue per passenger fell, and Wall St. worries that may weigh on those profits and stock gains. Airlines have repeatedly tried to reassure investors that trend will reverse.